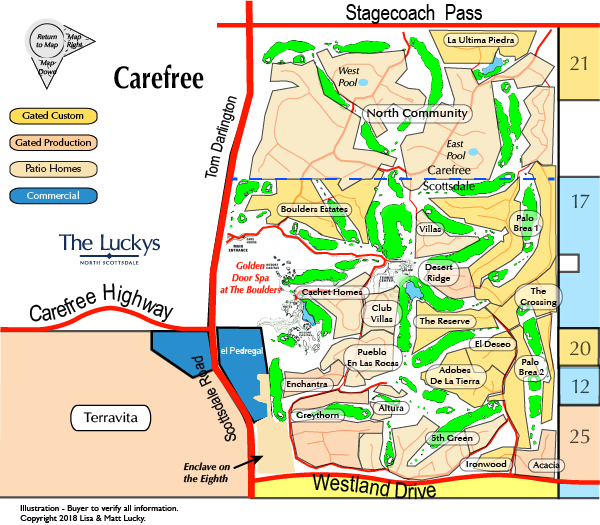 The Boulders is a master planned community of luxury homes on approximately 1,000 acres. The Boulders Resort and Golden Door Spa has been named America’s Top Resorts. The resort complex features two outstanding 18 hole courses, which are continually alternated, allowing for one to be kept private for members while the other is used by the hotel guests. The facility consistently appears on everyone’s “Top 100” list, due in part to the excellent course maintenance and incredible scenery. See all The Boulders New. See all The Boulders - Sold.